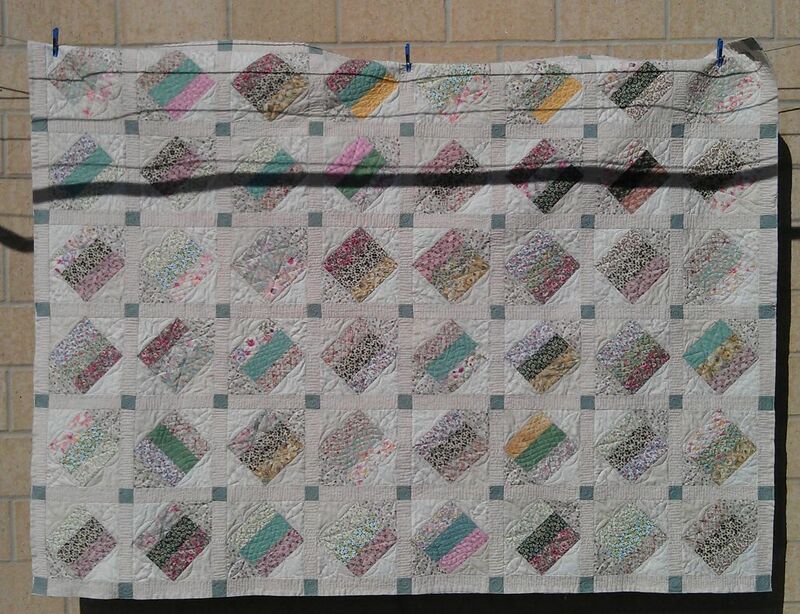 How to quilt this large quilt? 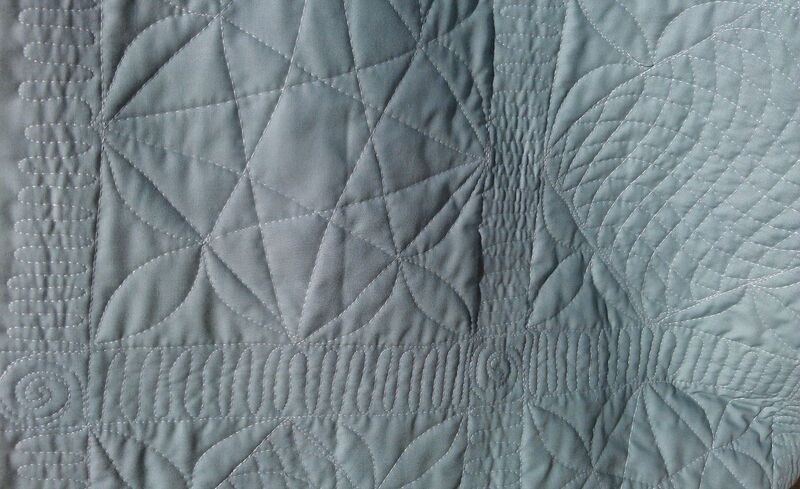 I started by stitching in the ditch around all the blocks to stabilise it. Then I tackled the sashing strips and border as the fabric design ‘told’ me to do vertical stripey things. I added a spiral at each green corner join. 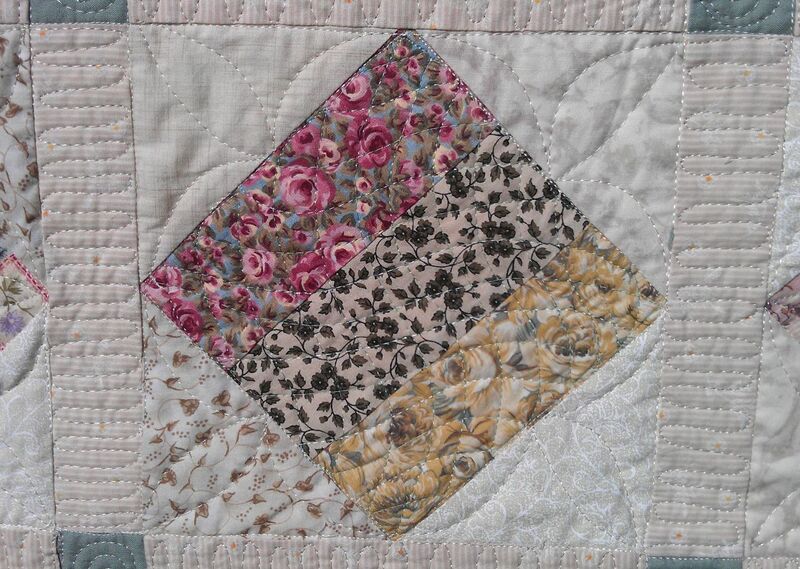 For the main blocks, I did a 3-petal flower type thing in the cream triangles. And then I came to a screeching halt. What to do in the 3-strip centre blocks? 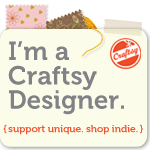 I decided to alternate the motif, doing a curvy matrix in one, then a star in the other. The star goes from mid-point to opposite corner, to opposite mid-point etc. and I think it was quite effective. 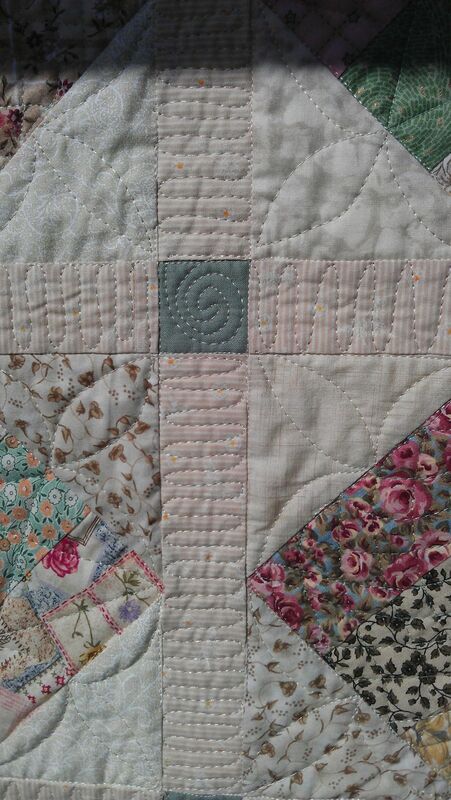 I used a soft green thread for these centres. No rulers or marking pens were harmed in quilting this quilt 😉 It was ALL free motion. Even the stitch in the ditch… I’m getting much better at almost straight lines on my Sweet Sixteen. This was a big quilt. 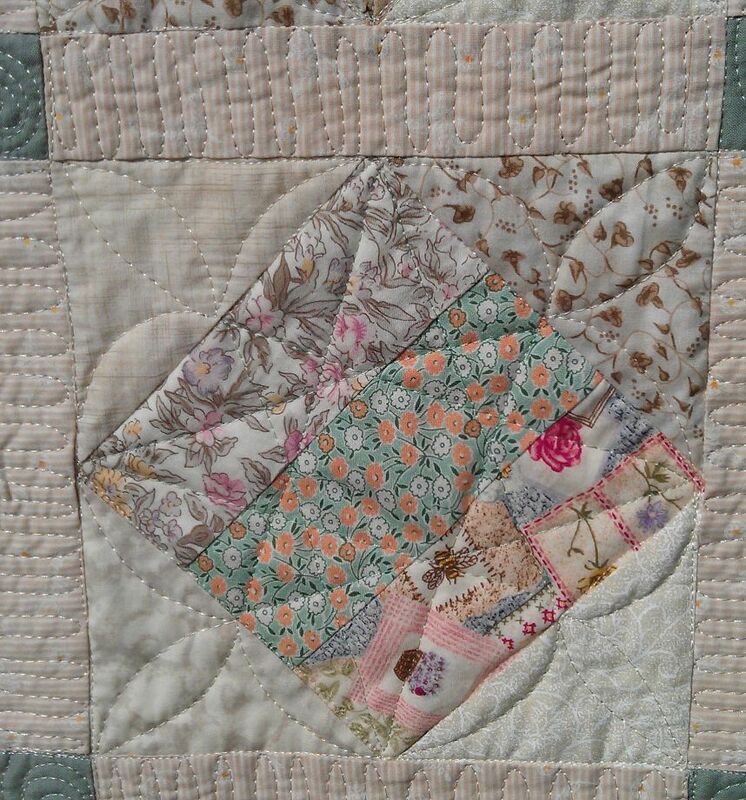 I think it took about 6 hours to quilt. Super nice………lots of texture!!!! SID makes all the difference in the final look….much better “definition”!!!!!! Beautiful!!!! SID = Stitch in the ditch. That quilt looks so soft and cuddly.